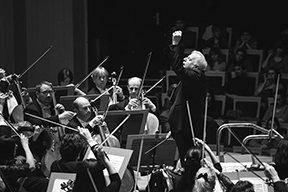 Beginning February 18, the Orchestre National de Lyon,“probably the most refined ensemble of the world” (The Guardian), tours the United States for the first time since 2003, playing concerts with music director Leonard Slatkin on a six-city tour. The Orchestra performs in renowned venues such as Carnegie Hall, New Jersey Performing Arts Center, and at the University of Georgia, Wake Forest University, and others. 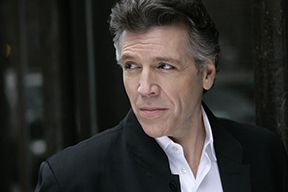 Special guest artists at Carnegie Hall include two of classical music’s most treasured American voices, soprano Renée Fleming and baritone Thomas Hampson. The New York program will feature debut performances of Guillaume Connesson’s Celephaïs and a new Ravel arrangement of Rimsky-Korsakov’s Antar with text by Amin Maalouf. Renée Fleming joins the ONL with Ravel’s Shéhérazade, named for the heroine in the famous Arabian fable, One Thousand and One Nights. The concert concludes withDaphnis et Chloé, which the ONL recorded with Slatkin just released on Naxos in January 2017. “Many consider Daphnis et Chloé to be Ravel’s masterpiece, but that can be said of so many of this composer’s works,” states Slatkin. “However, Daphnis stands as the exemplar of orchestral writing during the early part of the twentieth century. 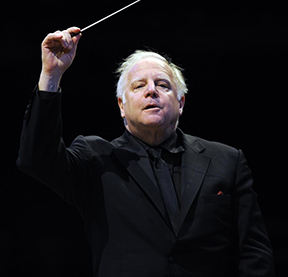 With its exotic story, incredible orchestration and concise musical ideas, this work is a joy from start to finish.” In Slatkin’s tenure as music director of Orchestre National de Lyon, the seven-time Grammy Award winner (and 64-time nominee) has led the ensemble in nearly a dozen recordings, with forthcoming projects planned. Concert programs in other cities include more works by Ravel, Berlioz’s belovedSymphonie Fantastique, Barber’s virtuosic Violin Concerto, Liszt’s Piano Concerto No. 1, and Mr. Slatkin’s own composition, Kinah, written for his late parents, violinist Felix Slatkin and cellist Eleanor Aller. 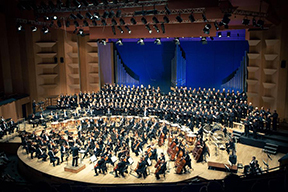 Soloists include distinguished violinist Gil Shaham, young Chinese-American pianist George Li,and Orchestre National de Lyon’s own concertmaster, Jennifer Gilbert.